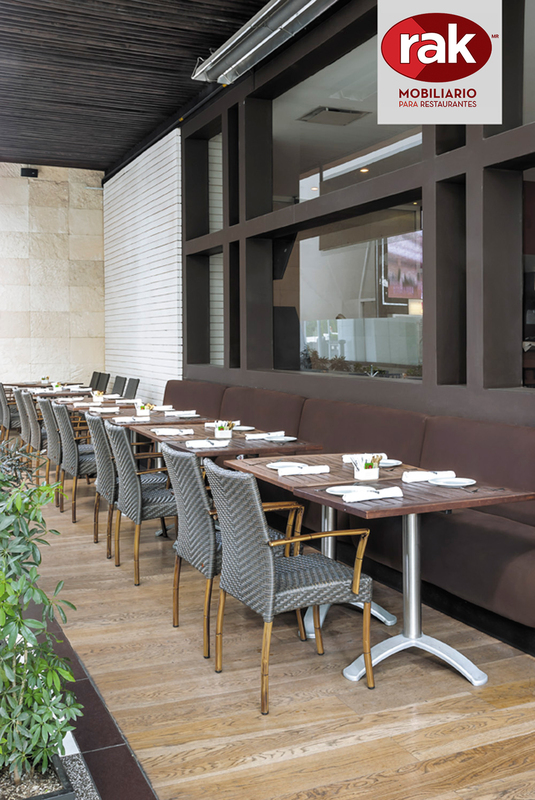 The wide and balanced design of the Gloria armchair offers a high backrest and comfortable arms for the diner. 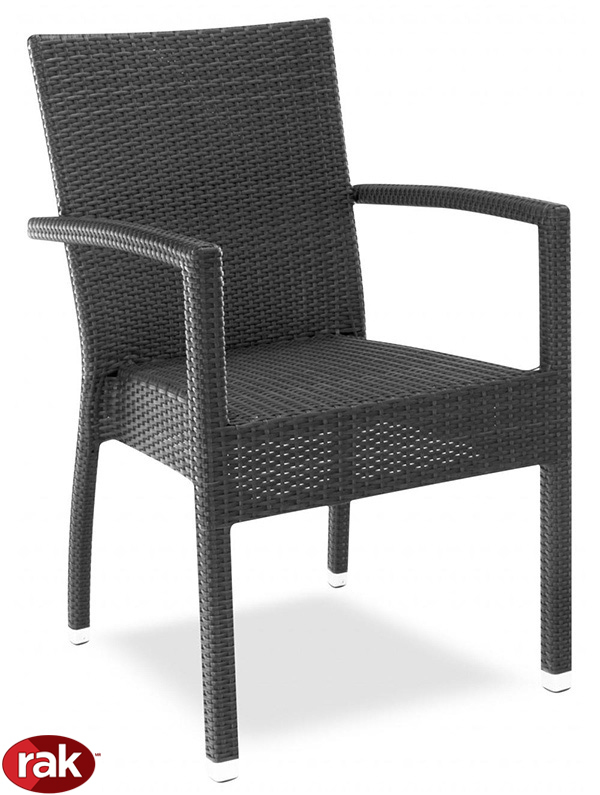 Made of high resistance synthetic wicker fabric, it is stack-able and brings elegance and comfort on the terrace of a restaurant or hotel. 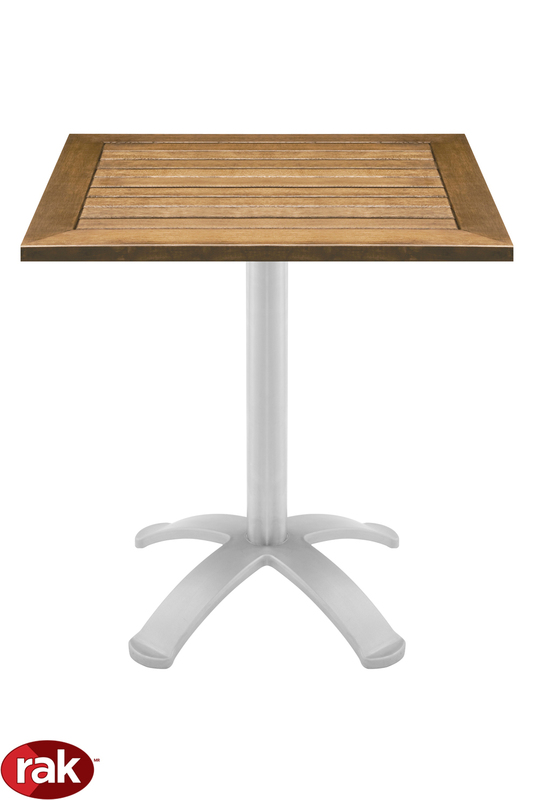 Weather resistant and available with structure in silver or imitation teak wood. Shown with table in teak wood and imported pedestal for outdoor model K-4.